To change your payment method from PayPal to credit card, click My Account > Payment > Update my Payment Info. 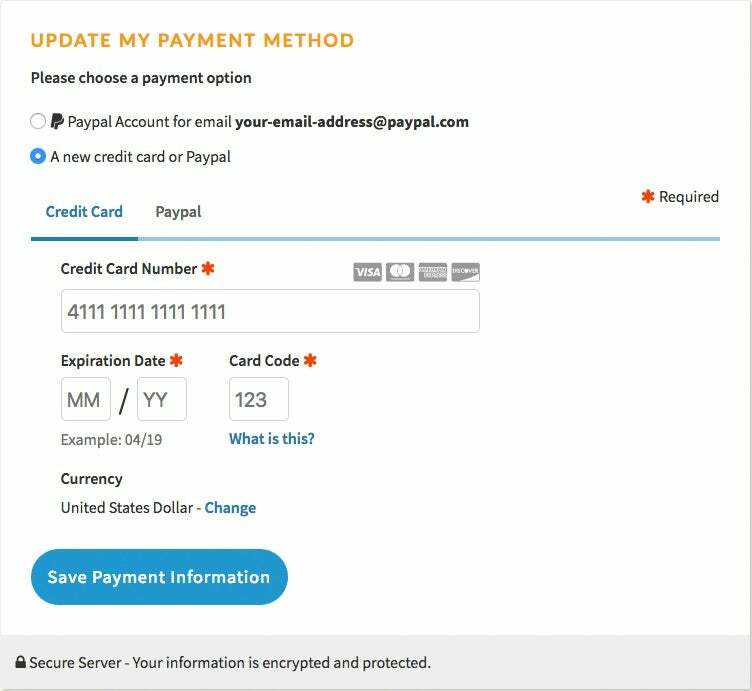 Click "A new credit card or Paypal" and update your information. Remember to click "Save Payment Information." How much does Yoga Anytime cost?